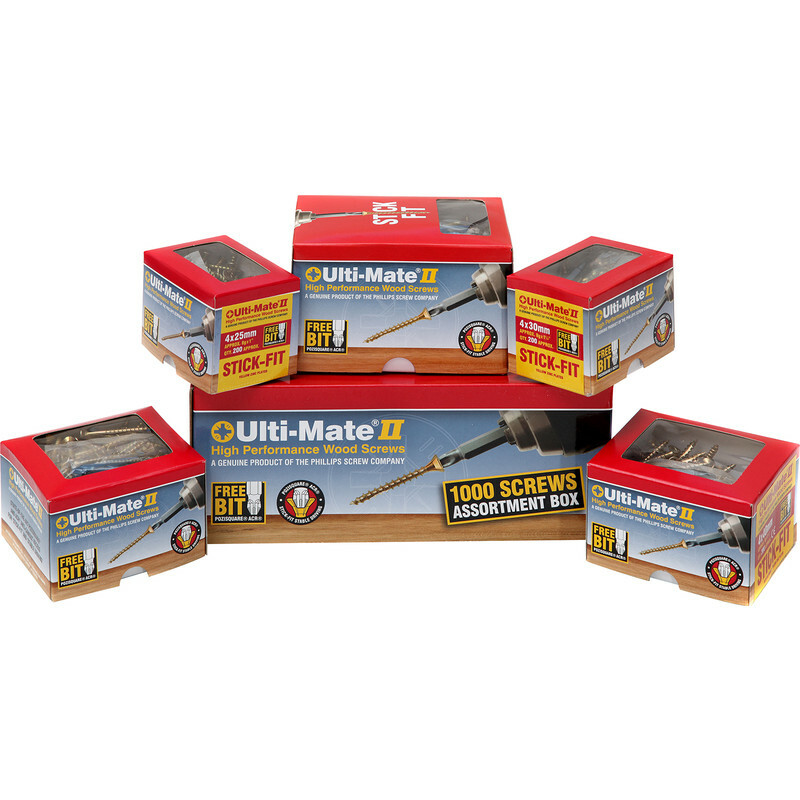 Ulti-Mate II Stick-Fit Zinc & Yellow Plated Screw Assortment Pack (1000 Piece) is rated 5.0 out of 5 by 7. Rated 5 out of 5 by ADIYer from Easy to use Bought for DIY, worth the money. The new bit in every box is an amazing fit to the screw, even my 8 year old could effortlessly drive the screws in - would highly recommend. 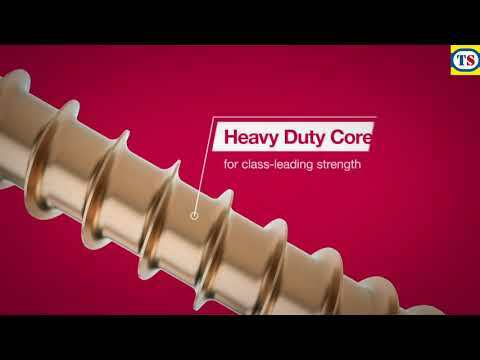 Rated 5 out of 5 by ADSS from Best screw I have ever met!!! Just bought this and compared to other screws I was using this one is just the best! Before you even know what is happening, the screw is in. Rated 5 out of 5 by deniseb from excellent pack size Brought these instead of a dearer brand and they are excellent no need to pre drill pilot holes .